UPDATE: As of 12/29/12 my grip stopped working! See below. As of 1/6/13 it's working again. I finally received the cheap battery grip that I ordered for my Nikon D600. Here are my first impressions. UPDATES: See under command dial -- missed clicks and direction of rotation. I ordered this grip from eBay seller ukpartsdeal on November 7, 2012. I hadn't gotten it and inquired with the seller who said he shipped it on November 15, 2012. Coincidentally, I received it the day after I sent my inquiry, on November 26, 2012. When I received the box, it was a little squished from handling. There is no brand. 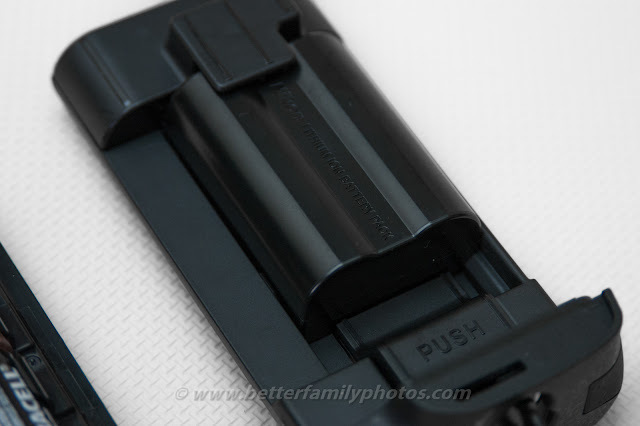 Most distressing was that the photo of the grip on the box shows a completely different grip, with the older-style protrusion that goes into the battery compartment. However, there was a sticker saying "For Nik D600." On eBay, there are two price points for a D600 aftermarket grip. There is one that is around $50 and another that is around $130. I ordered the $50 one, thinking the $130 was a rough deal. However, I found out from the manual that there are two models of this grip: BG-2K (plastic) and BG-2M (magnesium alloy). I am supposing that the more expensive grip is made of magnesium alloy. If you're ordering that, you should check with the seller before completing your purchase. 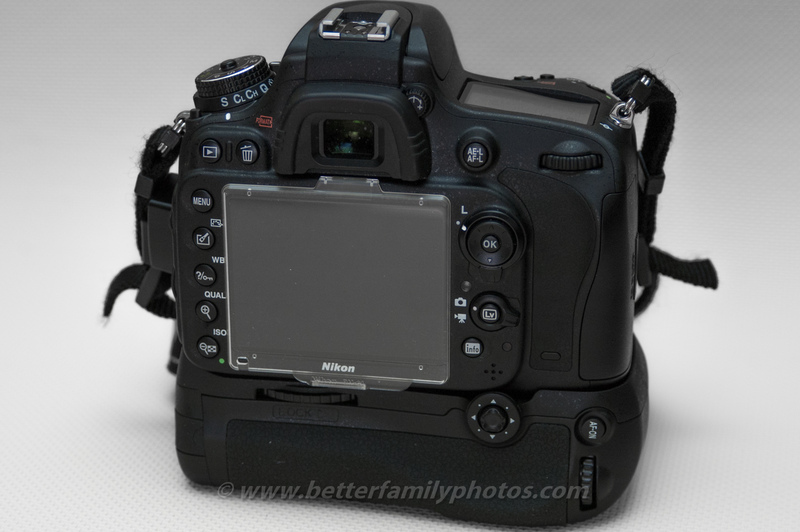 Here is how it looks when mounted on the D600. My overall impression of the grip was that it felt cheap and light. I would compare the build quality to one of those generic digital cameras sold at department stores for less than $100. It doesn't look like it would fall apart but you can easily notice that it feels different from the D600. The plastic used appears to be similar to some of the better Chinese flash triggers that I've used (e.g. Aokatec AK-TTL). My impression is that it's suitable for normal use, but would probably suffer small cracks with rugged use over time. The grip fits the D600 just fine. 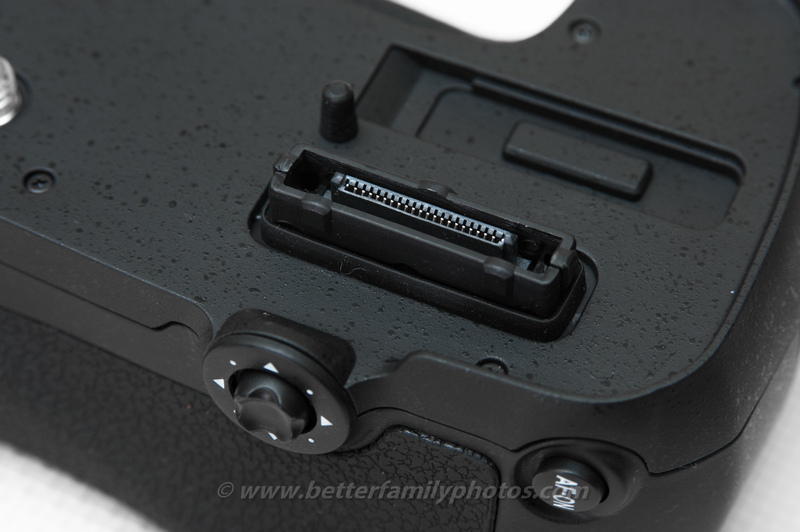 On the bottom of the D600, I just removed the rubber cap covering the terminal (no tools needed). I positioned the tripod insert on the tripod mount then turned the wheel. The wheel can be held from both front and back of the grip making it easier to turn it. 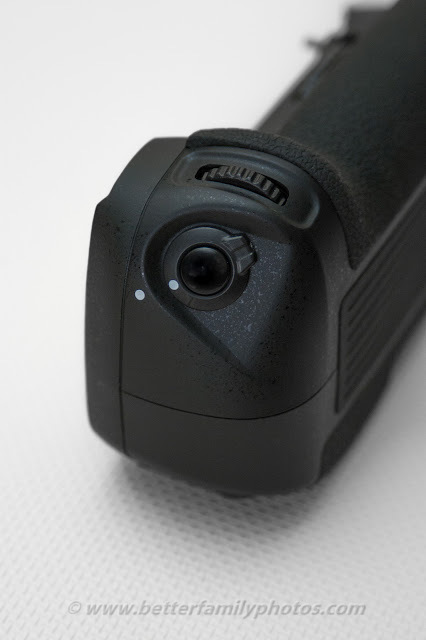 There are a couple of short protrusions on the grip for corresponding holes on the D600 to ensure the grip is correctly oriented and positioned. When the wheel is fully tightened the grip feels like it is securely mounted on the camera. I don't feel worried about it suddenly falling off (knock on wood). However, there is a slight but perceptible flex if you try to twist the grip away from the camera. The grip follows the contours of the D600 fairly well. 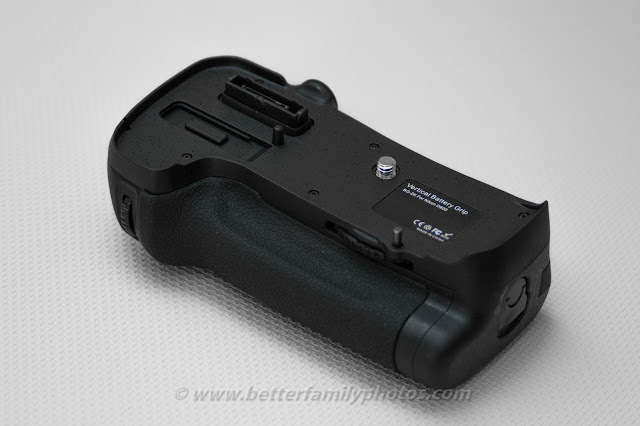 I haven't handled the original MB-D14 battery grip but as far as I can tell from photos of the MB-D14, this grip seems to conform to the D600 just as well. On a scale of 5, I would say the fit is 4 (because of the slight flexing). I don't have any prior experience with battery grips, so I don't know how well original grips fit their respective cameras. As noted above, the grip includes two battery holders. The holders have a latch that you lift up and twist to lock and release the holder from the grip. The AA battery holder fit the grip well while my EN-EL15 holder first needed a little persuasion before the latch would lock. The EN-EL15 holder now locks and releases fine. D600 with EN-EL15 + Grip with no battery --> camera works, grip doesn't. I am supposing this is normal. Note: I don't have a spare EN-EL15 battery to test the D600 with EN-EL15 plus the grip with EN-EL15. I also haven't run down the EN-EL15 to see if it would transition to the AA batteries with no problems. I'll update this post when I get to do that. Vertical shutter. The button has a smooth rather than matte finish (like that of the D600's shutter) and seems very slightly more elevated. The travel from not pressed to half-pressed is about the same as the D600's shutter (other than the difference from the slight elevation) as is the travel from half-pressed to fully depressed . The amount of pressure is also about the same. Lock for the vertical shutter. It's not a physical lock that prevents the shutter from being depressed. Rather it appears to be some sort of electronic lock that disables the vertical shutter. Front and rear command dials. They feel like they are slightly less thick than the D600's dials but otherwise they work just fine. The detents feel about the same as that of the D600, perhaps with slightly less resistance to turning. 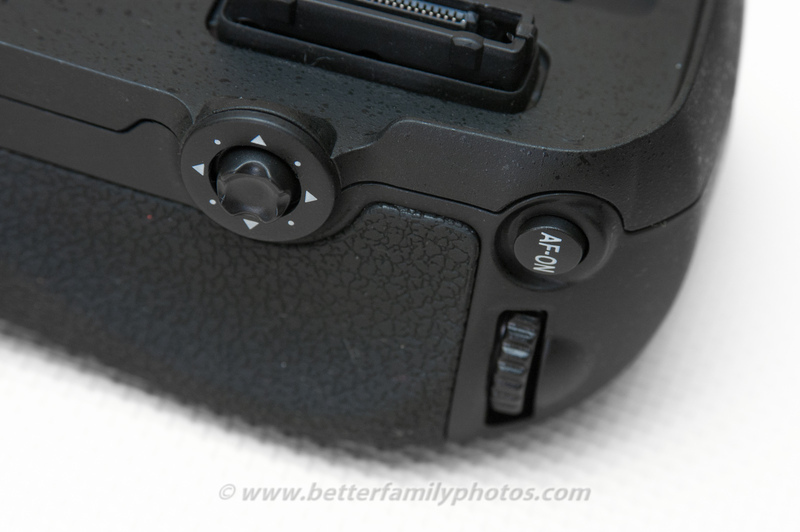 One difference is that the D600's dials have a slightly rubbery texture that makes them less slippery. The dials on the grip are just plain plastic. UPDATE 1 - MISSED CLICKS: I found out that if you rotate the dials very quickly, one or more inputs can fail to register. For example, if you rapidly rotate the dial 3 clicks (as quickly as you normally do 1 click), the change might only show 2 clicks. By contrast, with the D600's dials, I can rotate them however fast I want and they will always show the correct number of clicks. UPDATE 2 - DIRECTION OF ROTATION: Apparently some third party grips do not rotate in the same direction (see Bill's comment below). On mine, they do turn in the same direction. I also tried the option to reverse the rotation and the dials reversed just the same way as the D600's own dials. Joystick. Works in all directions. Feels a little squishy. Pushing in the joystick works just like pressing the OK button on the D600 directional pad. AF-ON Button. Functions perfectly (function can be changed via option f9. Texture feels the same as that of the AE-L button on the D600. As with the vertical shutter, it feels slightly elevated compared to the D600's AE-L button but otherwise feels similar. 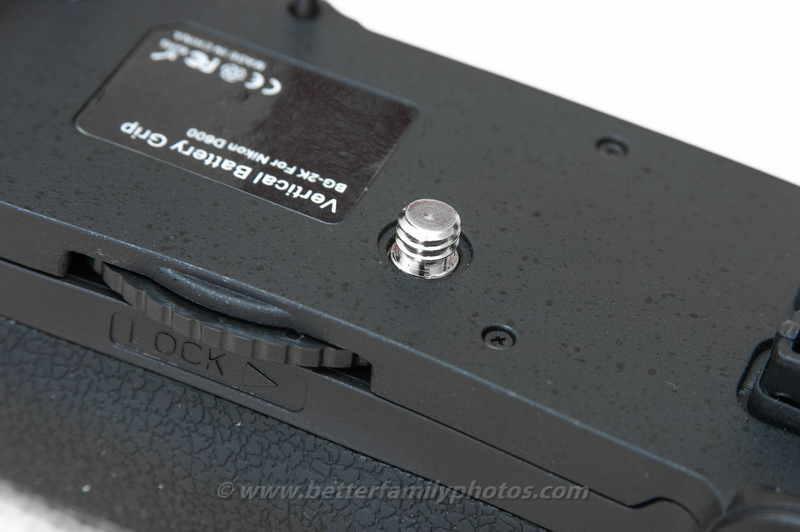 It feels more squishy than the D600's AE-L button but the overall amount of pressure required is about the same. Rubber Grip. 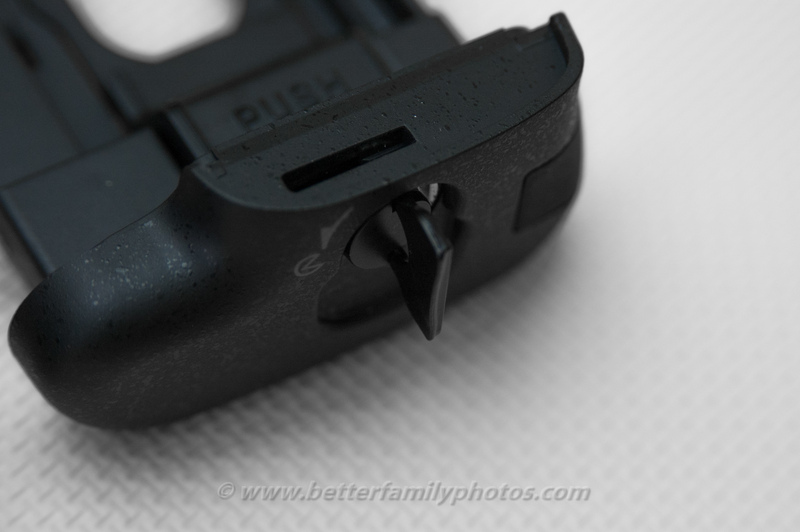 The rubber on the grip has a different texture from that of the rubber grip on the D600. However, it doesn't feel worse and may even feel slightly more grippy. AC Adapter pass-through. 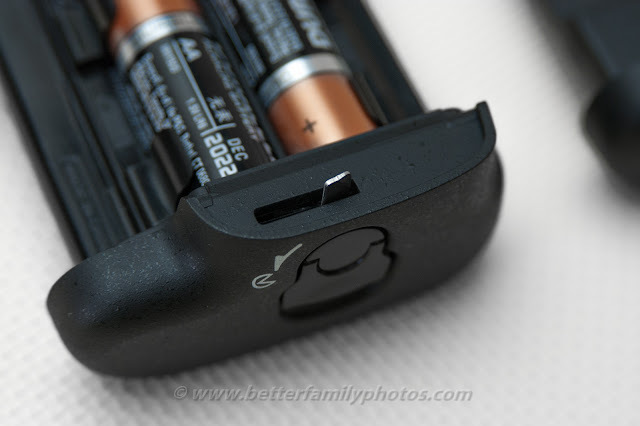 The EN-EL15 battery holder includes a rubber cover to allow an EH-5 and EP-5B AC adapter cord to pass through. Overall my impression is that this grip works well for anyone who wants a battery grip either for the vertical controls, the extra battery capacity or the option to use AA batteries in an emergency, as long as you don't use it in rugged conditions and you're fine with missed clicks. (For pros those issues are probably not acceptable.) In my case I like the D600's compact size but most of the time I don't always need it to be so compact in which case I will probably keep the grip attached for extra protection for the D600. I will update this review after I've had more time to use it. 12/29/12 UPDATE: Grip had been working fine then I removed it. When I put it back, it stopped working! 1/6/13 UPDATE: Tried the grip again and it's now working again. Thanks Mike that's a great idea. I'll try that. Thanks also for your constant support of the blog! Thanks for the very detailed review, and being our "guinea pig" by ordering it first! It seems that you got a good deal after all. If you ever drop your D600, perhaps this plastic grip will break the fall and protect it? I like that the grip's shutter release button has a very similar feel to the D600, an important ergonomic consideration. Interesting that they called the button on back "AF-ON", which I guess is how most people use it anyway? What do you think of aftermarket flashes, flash cords, etc? The SB-910 and SB-700 are excellent, but they cost a bundle, too. By the way, I've since installed LR 4.3rc and I'm really enjoying the additional processing power compared with View NX2. I'm still not sure about what to include in a standard developing preset for the D600, other than some mild auto lens corrections and sharpening. I seem to always do a little highlight reduction and shadow boosting to soften the tone curve, but don't want to make it automatic just yet. Hi Ken, yeah that's my idea with the grip -- I'm hoping it will add a little protection to the camera. Re aftermarket accessories, it kind of depends. 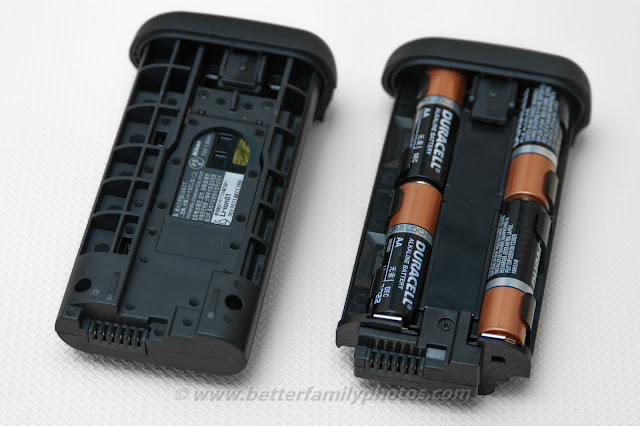 Some things like camera batteries I prefer to buy original because the aftermarket ones are usually much worse. Some simple things like TTL cords I buy the aftermarket version because I'm hoping that it's simple enough that they won't screw it up. Basically, if it's simple and is not likely to be abused by me, then I try the aftermarket version. As for flashes, I think the SB-910 is overpriced, but the SB-700 is not a terrible deal. You could also try a used SB-800 for about the same price as a SB-700. If you don't need the TTL functionality, then manual flashes are much cheaper. Then there are those TTL 3rd party flashes like Yongnuo - which may or may not be reliable - sort of depends on the model. So far my Yongnuo 560EX (manual on-camera, TTL in wireless) is working fine. Congrats on getting LR. It's heck of a lot faster than NX2 isn't it. Makes processing so much easier. I don't use presets much but if I were to do one for the D600 it would probably be something about fixing the red/pink which I find too saturated. Re photoshop, if your kids are still in school, the academic version is not a bad deal compared to repeatedly buying photoshop elements. Thanks for your continuing support of the blog! 1) Is it compatible with Nikon's Advanced Wireless Lighting (AWL) in that you can control the flash power output (+/-) from the camera (if your camera body supports commander mode w/the pop-up flash - e.g. D90)? 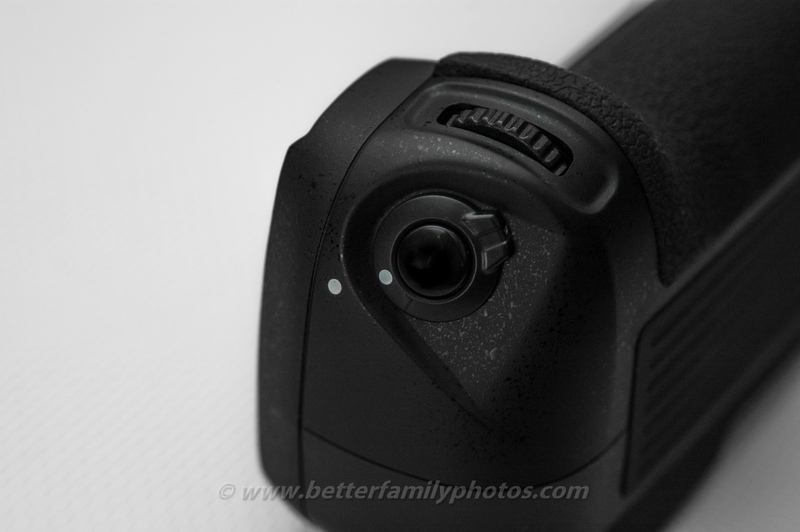 2) Do you have to use it in TTL wirelessly or can you use Manual mode? I use my D90 as commander and have my SB-800 in (M)anual mode and adjust the flash power from the camera menu. 3) Can you put it into different groups/channels? 4) Can external battery packs be used with it for faster recycle times? 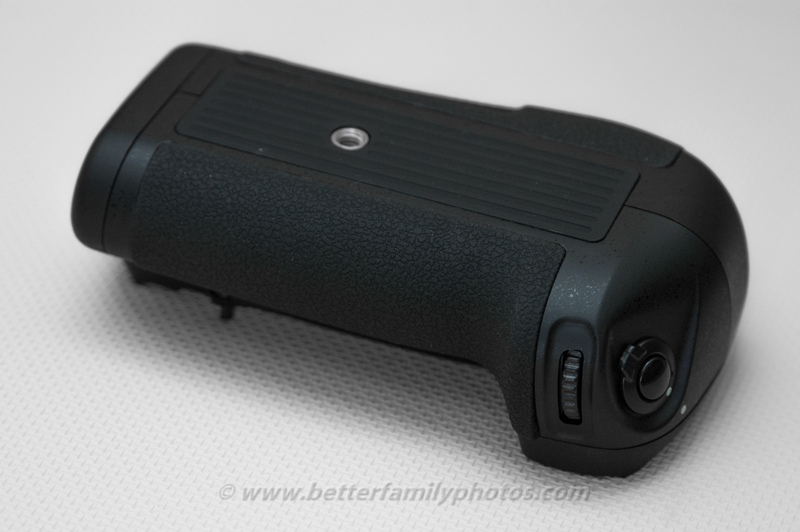 Have you encountered any issues using the 560EX remotely? I recently picked up a second SB-800 which I plan to use in a dual flash setup with my softbox, but would like to add another light down the road as either a second light or background light. Just wondering if there's a more budget friendly strobe alternative as it's probably only going to be used remotely. 1. Yes, you can adjust power remotely using the popup commander. 2. 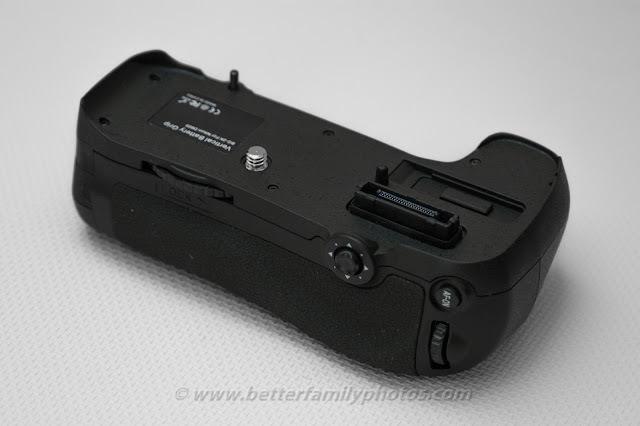 Yes you can use either TTL or manual (with remote power adjustment) in wireless mode. 3. Yes you can use different groups and channels. 4. No it doesn't seem to have an external battery pack. So far it has been working as expected. I believe it's currently the cheapest wireless TTL slave out there (for now). Do the control dials turn in the same direction as the camera body's? 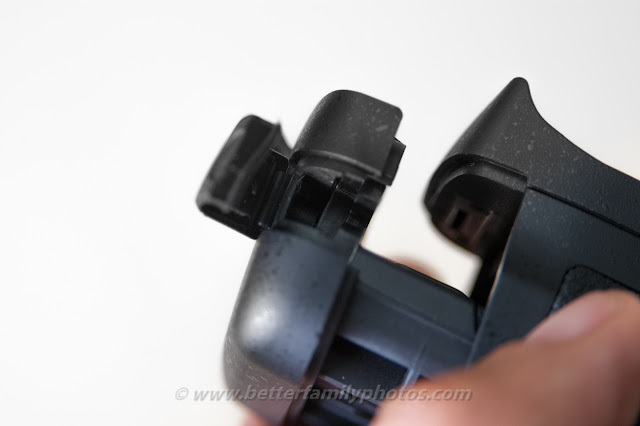 Some D7000 third party grips turned in the opposite direction and that would drive me crazy. Thanks Bill - great question. On mine, they do turn in the same direction. I also tried the option to reverse the rotation and the dials reversed just the same way as the D600's own dials. I'll add this info in the body of this review. Thank you very much for your review! I myself would be interested in spending the extra $$ on the magnesium version, but I cannot seem to find it! I will keep looking for it and I will keep watching for more updates from you on your grip. Thanks again! 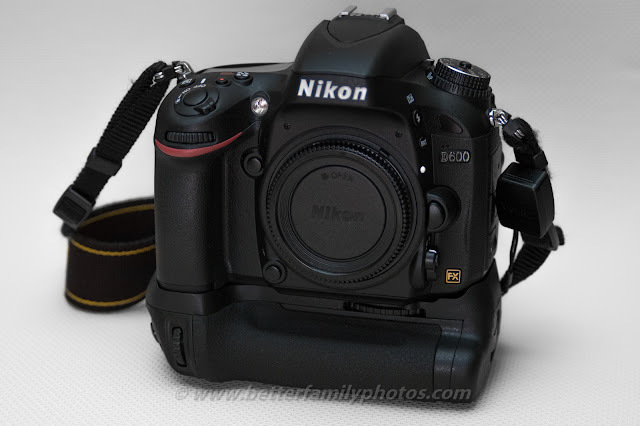 I did a search on ebay just now, using the search terms "D600 grip". There are several irrelevant hits such as grips for the Canon 600D but among the results you'll see at least a couple that are about $130. I would contact the seller to ask if it is the BG-2M or BG-2K to confirm. They might even say it is neither - in which case you know it is yet another 3rd party brand that may or may not be different from the one I reviewed here. Using the same grip from ukpartsdeal (ordered on Nov. 7th) for a couple weeks now (Nikon OEM battery in grip, no battery in camera)and noticed today that the camera indicates battery age as 2 (2 out of 4) and that after only having taken ~ 200 shots with the grip??? (870 overall with the D600). I'm in Canada and wrote ukpartsdeal and immediately got a RMA number. Shipped grip to Markham, Ontario for $13.. I've asked for a refund because I've generally lost confidence in aftermarket grips. I thought they were passive devices, however I'm now thinking they are more intelligent and it might actually make sense to go with the OEM Nikon grip. I don't think the Nikon battery is defective or is it? Hi Christoph. Thanks for posting about your grip issues. Hmm that sounds quite different from my experience. I've been using the grip with my camera since I got it and have not experienced any issues like what you're experiencing. 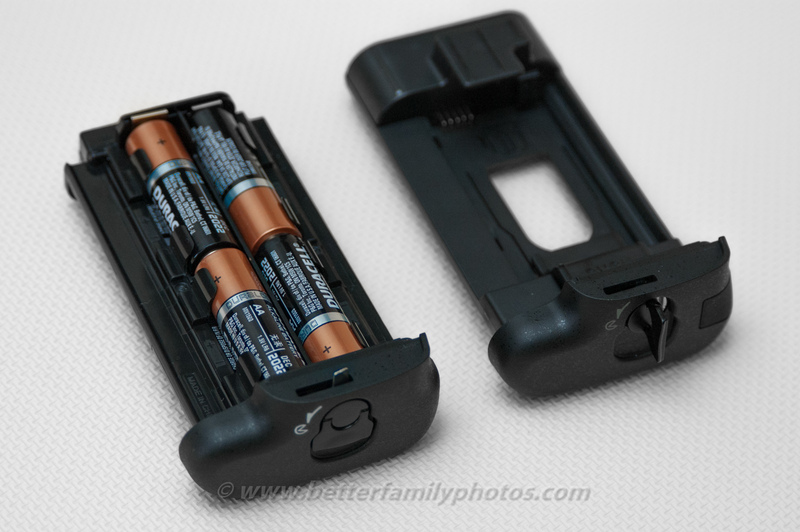 Re the battery age mine still says 0 (I have shot around 5200+ shots total with my D600). The only thing I can think of is whether your battery is fully seated, and whether your grip is completely locked into the body. Is your battery age different when you insert it in the D600 only? Was it 0 at one time and then rapidly deteriorated to 2? Maybe your dealer gave you an old battery? Yes, battery fully seated and also grip locked in place, I doubt it's that. Battery also shows age 2 when inserted in camera with no grip attached. Yes, was zero when new. Bought D600 from Adorama in sealed box, I doubt the battery was bad initially. That's a big issue for me so of course, personally I've lost trust in that grip and therefore couldn't recommend it. What I like: generally all, I agree that there is a little flexion but if you put a small tape of rubber between camera and grip near the shot button it work perfectly. What I dont like: the bad smell of solvents, I hope it will be better after a wile. Hi there! Thank you very much for letting us know about your experience with the grip. Much appreciated!!! About the smell of solvents, I did not notice a strange odor on mine. I guess yours must be very new. Maybe you can put some charcoal in your camera closet? I bought mine from ebay seller enjoyshopping2018 and I've been using it for almost a week. It feels very solid. It works without any battery inserted, using only power from the camera. I would like to ask for your opinion in one matter: What do you think about using the battery only in the grip? I don't feel like having to detach the grip every time I need to recharge. Is it recommended? I must have got a lemon. Got mine off of eBay too. I put the unit on my D600 and it works for about 10 minutes then the battery shows 90% discharge and I have to reseat the battery. I've tried both AAA and EL15. Same problem. The one I got is a lemon. No matter what battery pack I use after 10 minutes it gives a lower batter and tuns off until I remove the battery and and seat it again. The one I got is pure Junk. i use my 600 as a backup and got this grip with it when i purchased the camera about a year and a half ago. 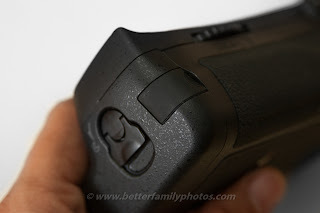 I use large full frame cameras for video, and recently used the 600 on a shoot to do video-in the middle of the job, with what i thought were fresh aa batteries in the grip, my camera went dead-upon investigation, i discovered the grip drains battery power if there is a battery inserted, regardless if the camera is being used or not. The drain is actually pretty significant too-went from 100% to 24% in less than a week, with NO usage whatsoever. This grip is junk, and I will be trashing it wherever and whenever I can, so that others know not to buy it-buyer beware.